Conrad, T.A. 1835. Monography of the Family Unionidae, or naiades of Lamarck, (fresh water bivalve shells) or North America, illustrated by figures drawn on stone from nature 1(1): 1-10, pls. 1-5. ‘Lamarck’ Conrad, 1835, Monogr. Fam. Unionidae: 5, pl. 3, fig. 1. Conrad, 1835, Monogr. Fam. Unionidae: 8, pl. 6, fig. 2. Reeve, 1864, Conch. Icon. : pl. 6, sp. 22; pl. 13, fig. 53. Conrad, 1835, Monogr. Fam. Unionidae: 9, pl. 5, fig. 1. 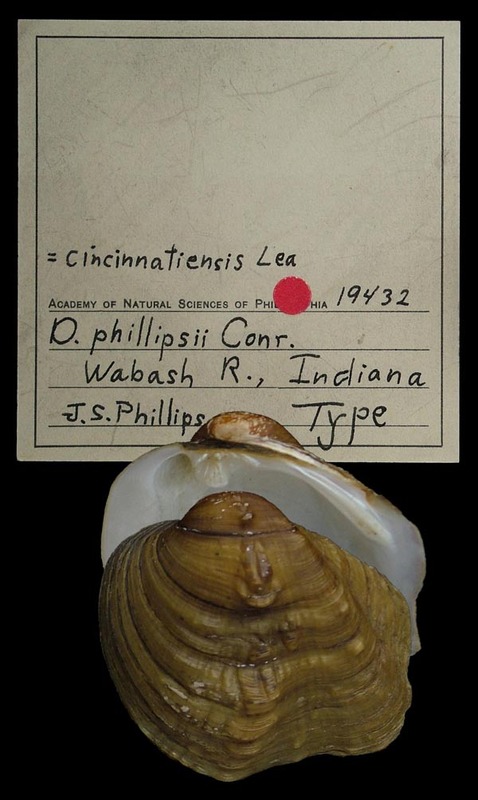 Type(s): HOLOTYPE ANSP_19432, Wabash R., Indiana. Unio ovatus var. ornatus Conrad, 1835. Unio clava Lamarck, 1819. — Conrad (1835: 5). Unio decisus Lea, 1831. — Conrad (1835: 6). Unio fasciatus Rafinesque, 1820. — Conrad (1835: 3). Unio flexuosus (Rafinesque, 1820). — Conrad (1835: 8). Unio metanevrus (Rafinesque, 1820). — Conrad (1835: 10). Unio ovatus Say, 1817. — Conrad (1835: 4). Unio phillipsii Conrad, 1835. — Conrad (1835: 9). Unio reflexus (Rafinesque, 1820). — Conrad (1835: 7).